Have you completed an outstanding student project? MRU Library’s Award for Excellence in Scholarly Endeavors seeks to recognize student projects that incorporate effective use of information resources and demonstrate research skills. Individual student projects can be essays/papers, film projects, poster presentations, web or technology-based projects, honours theses or creative works. Students can compete for $1000 awards in either of 2 categories recognizing Junior and Senior projects. 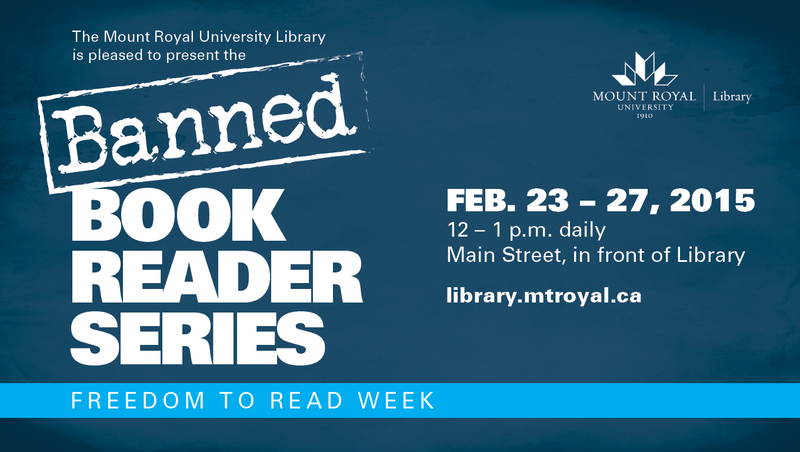 Come listen to members of the MRU community as they read from banned and challenged books as a demonstration of our ongoing commitment to intellectual freedom, the right to creativity, and the free expression of ideas. 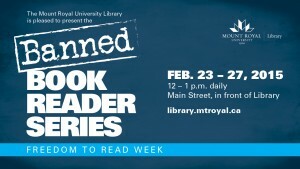 If you would like to be a reader, please contact mvanderwerff@mtroyal.ca. 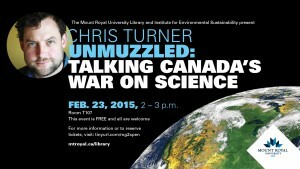 FTRW is celebrated nationally in Canada. More information can be found here. In partnership with the Institute of Sustainability, the Library is proud to host a talk by award-winning author Chris Turner. He will be speaking to censorship in the sciences, the state of science teaching, and environmental sustainability and social responsibility.